International Polka Music Hall of Fame® Marion Lush, the Golden Voice of Polkas! International Polka Music Hall of Fame® Marion Lush is well known as the Golden Voice of Polkas. He is part of Chicago Polish polka history. His many hits have been preserved through his recordings. Enjoy these 30 songs with Marion Lush! 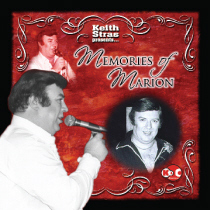 Lush - More Marvelous Memories of Marion - 28 Marion Lush Hits for the Very First Time on CD!